UX since before we called it UX. Startups, big companies, and everything inbetween. Most recently Director of UX & Content at Acorns. Previously at Cooper, St. Jude Medical, Yahoo!, Ripple, Napster, and RealPractice (acquired by ReachLocal). Consulted for Ashley Furniture, EFI, Ellie Mae, Fotiva (acquired by Adobe), SAP, Visteon, and many startups. Head of UX (Director, VP), Interaction Designer, User Experience Designer, Instructional Designer, and Human Factors Specialist. Big and small projects for big and small companies. Design leadership, UX strategy, interaction design, information architecture, design research, visual design, branding, prototyping, and a little bit of front-end coding. Web apps (desktop, mobile), mobile apps (iOS, Android, J2ME), desktop apps (Windows, Mac OS), TVs & set-top boxes, embedded & custom systems. Hardware + software and multi-platform design challenges. An illustration of the relationships among Napster, consumers, and music to help frame our design work. High-level framework for how to organize and structure Napster's features and content across multiple platforms (desktop computers, smart phones, feature phones, televisions). 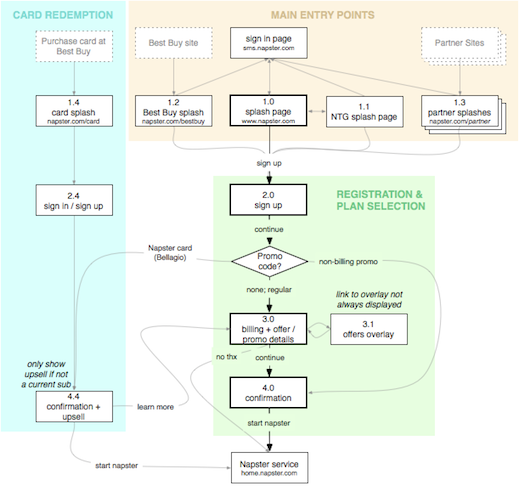 User flows for Napster sign up, starting from a variety of entry points (direct entry, marketing promotions, card redemption, etc.). 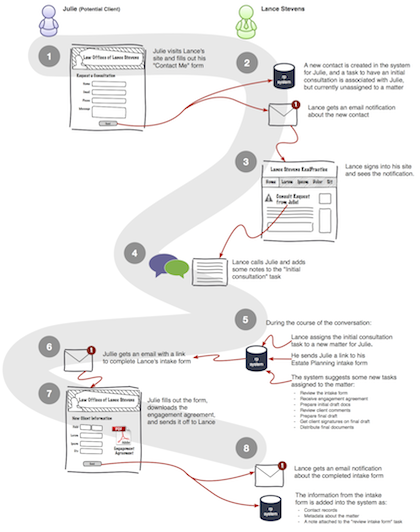 High-level scenario for RealPractice (acquired by ReachLocal) illustrating interactions between a lead (on the left), our customer (on the right), and the system (recording data, sending notifications, etc.). 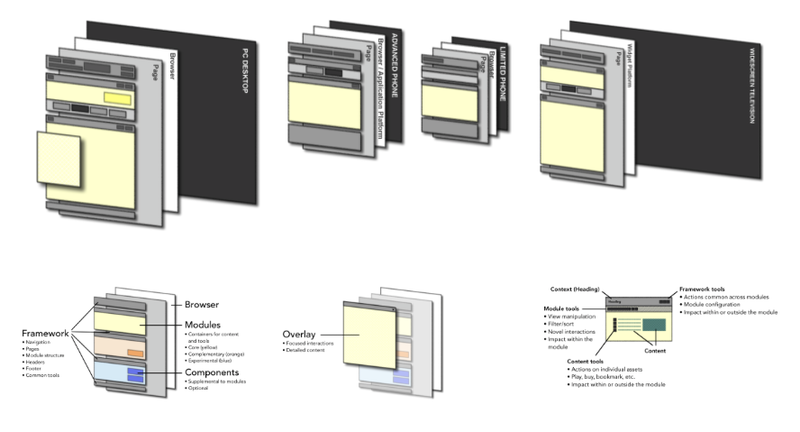 A snippet from the detailed interaction design documentation created for third party developers working with Napster to build apps for various television platforms. 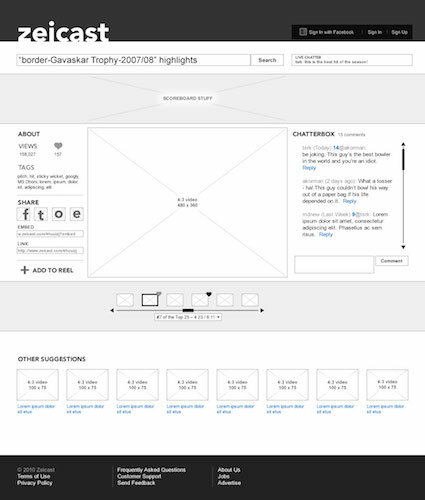 Wireframe of the player page for a sports video service. Prototype of A WYSIWYG, web-based invoice editor that was part of a suite of small business tools. The UI includes fluid inline editing and live updating of data. 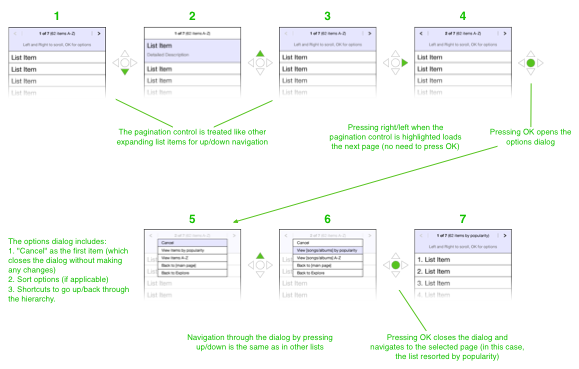 Brief style guide for how to ensure visual consistency among ReachLocal's consumer-facing web and mobile interfaces. 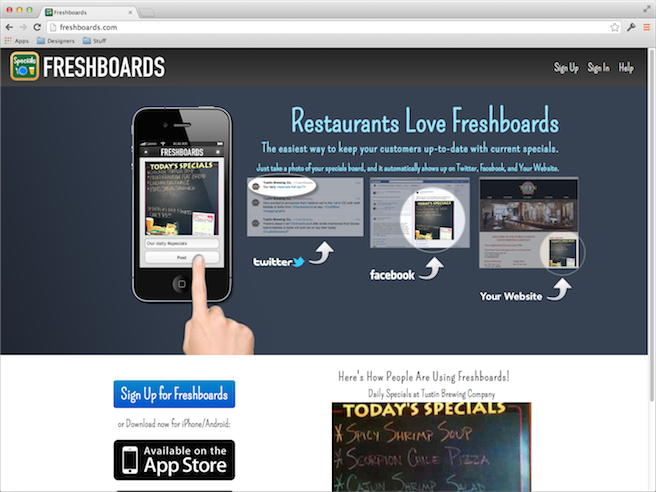 Freshboards is a mobile app (for iPhone & Android) that makes it easy for restaurants to post their specials on Facebook, Twitter, and their website.